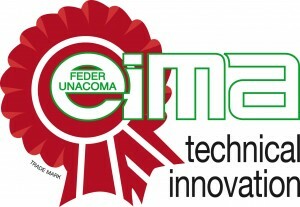 Winner of the Technical Innovation Award of EIMA 2014. 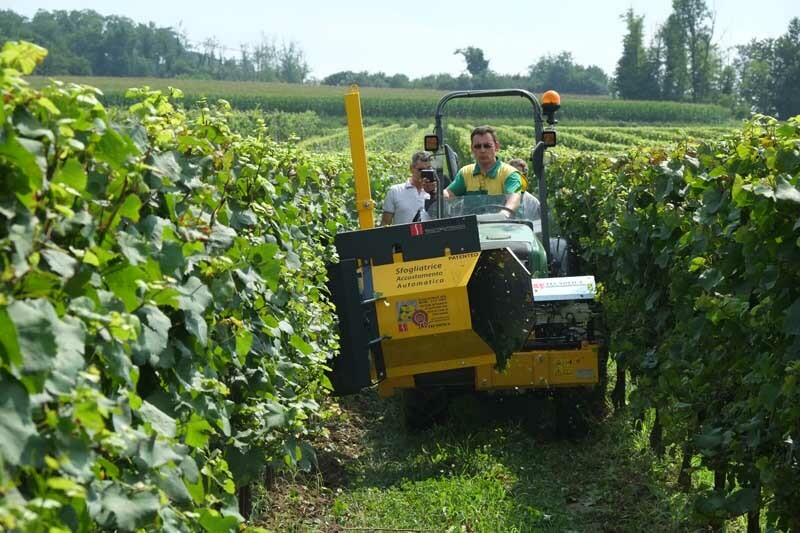 A revolutionary machine, extreme evolution of tear-off leaf removing machines, used to perform this delicate and dangerous operation not only in the very early stages but even when the fruit is fully formed with a delicacy till now reserved only to the operation conducted manually. 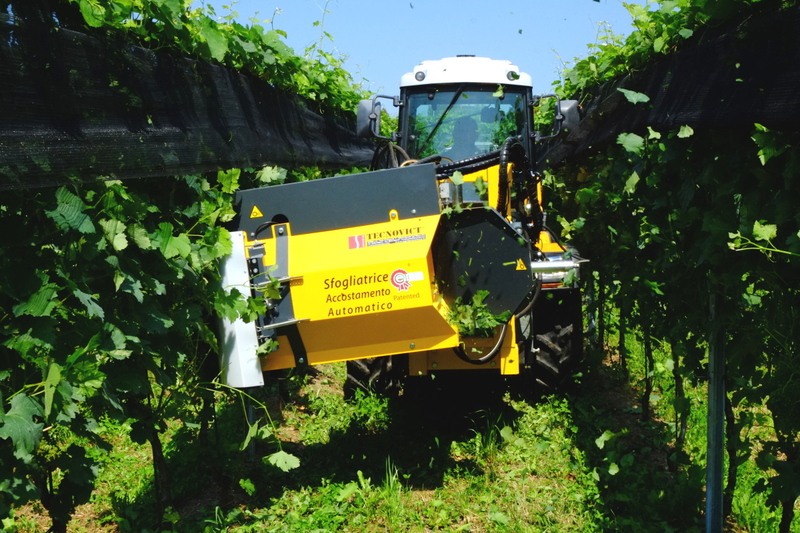 The long experience gained in twenty years (first Italian company to offer on the market vineyard strippers in 1994) made it possible to develop a leaf stripper where the goal was to expand as much as possible the time window without damaging the fruit. 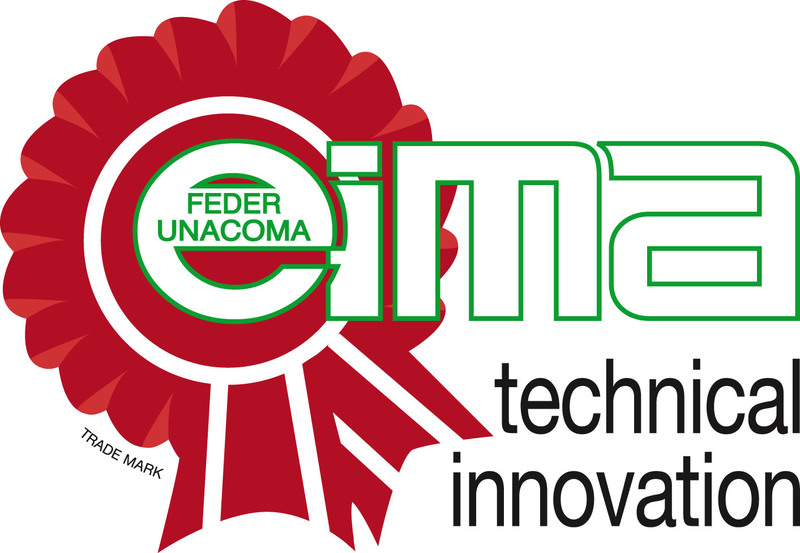 This goal was successfully achieved through a patented control system of the distance of stripping roll from vegetation and fruits. 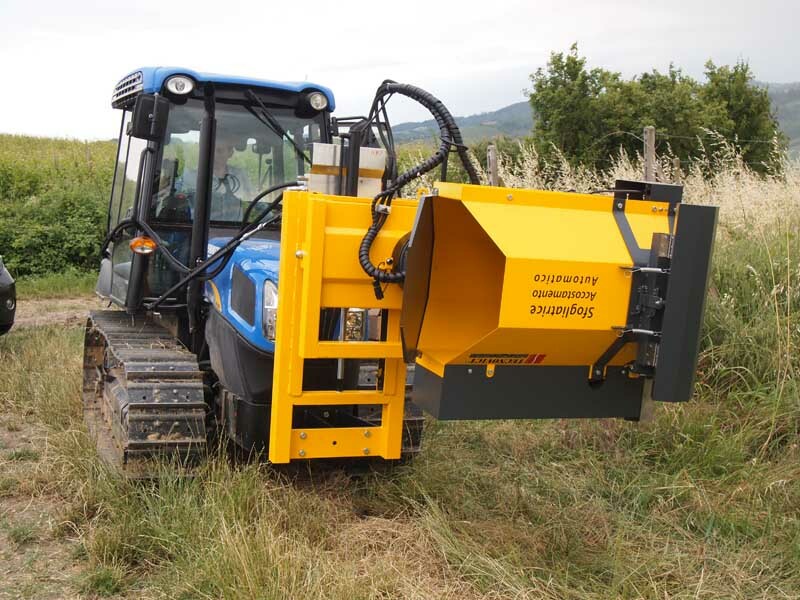 The working head automatically moves towards the vegetation until the screen-sensor is in contact with the vegetation and the same screen is pressed till the “point zero”, beyond which the movement of the working head is inverted so that goes away from the vegetation. 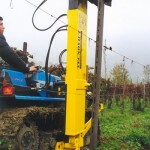 This system allows you to “copy” the profile of the vegetation following it accurately and automatically, removing from the operator the difficult task of maintaining the correct distance of the head from the vegetation, in the absence of which there would be insufficient stripping rate if the machine is far away and excessive damage to fruit if the head is positioned way far into the vegetation. 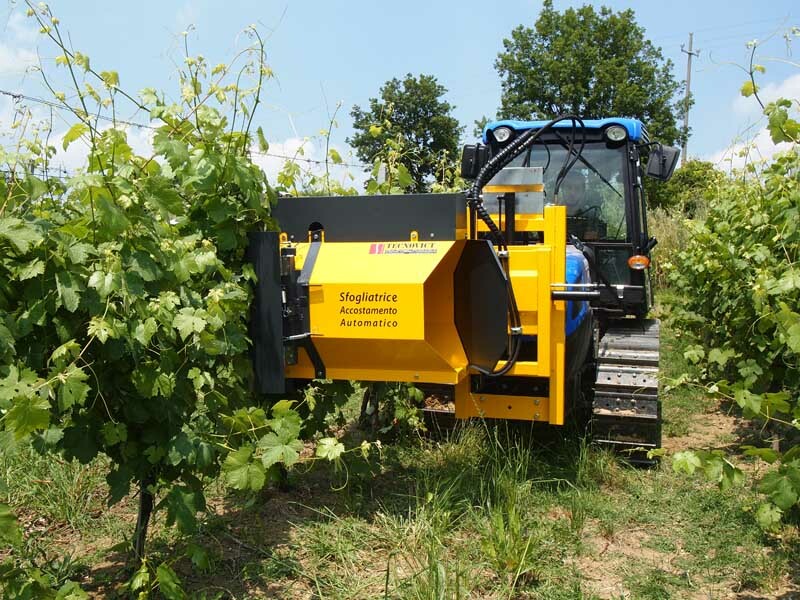 In presence of only vegetation the movement of the head is at reduced speed while in presence of obstacles such as poles or more resistant grape the movement from the row goes at higher speeds, allowing exceptional respect of the fruit, which has been verified in a functional test carried out CNR-Imamoter in the experimental fields in Vezzolano. Another feature unique and patented on this machine is the ability to adjust the intensity of leaf stripping settings by pushing the button, the number of revolutions of the stripping rate and changing it in real time with the press of the + or – buttons on the joy-stick. 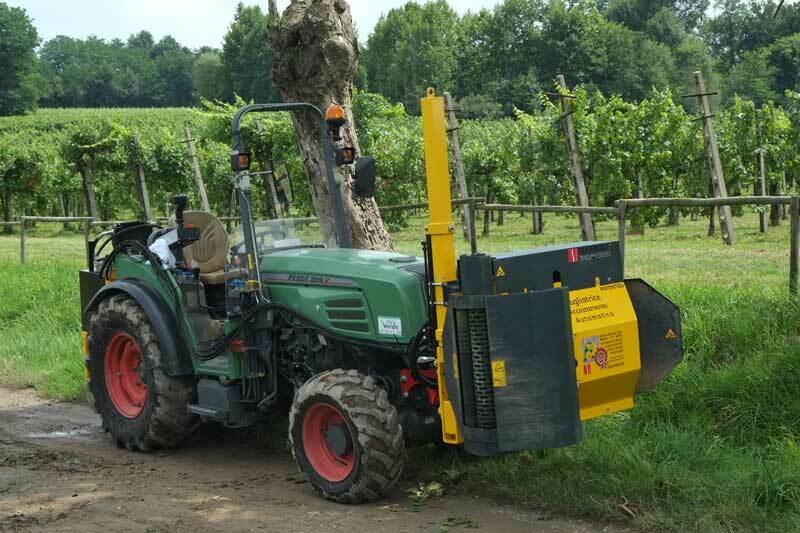 The amount of leaves removed changes in a propotional manner to the rotation of the roller itself and can therefore be adjusted carefully with the direct visual control of the operator. 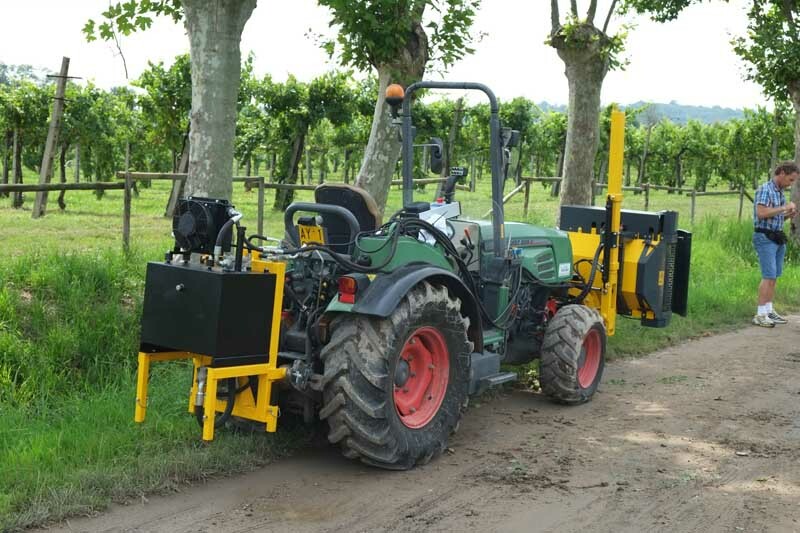 The machine is also equipped with the function of reversing the direction of the rollers supplied, useful to expel any debris that slipps between the rollers and preventing it from functioning properly. 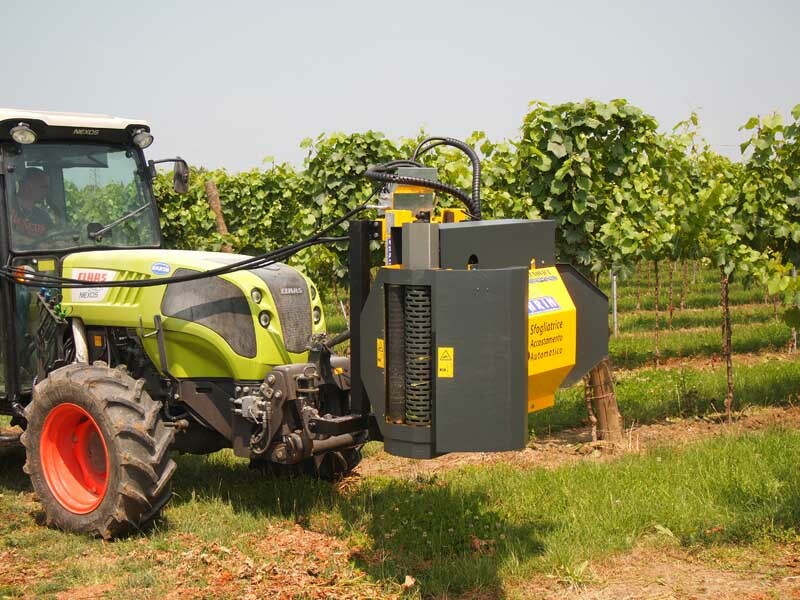 The operation can be carried out by the operator by simply pressing the dedicated button for an instant without having to stop the tractor, releasing the button resumes the regular function of leaf removal. 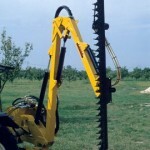 All these features make it the most modern and versatile leaf stripper machine on the market.